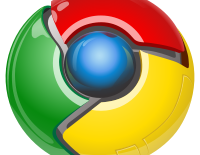 Opera is a web browser and Internet suite developed by Opera Software, Opera runs on a variety of personal computer operating systems, including Microsoft Windows, Mac OS X, Linux, and FreeBSD. 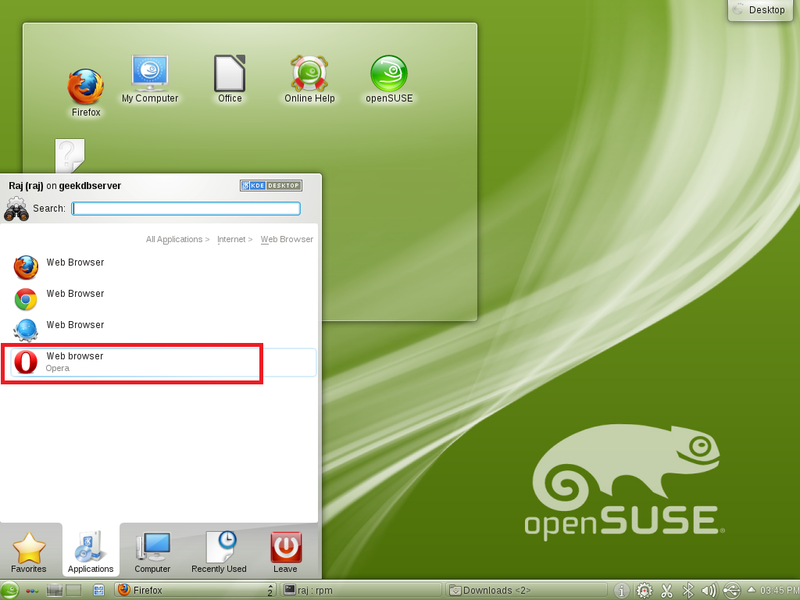 Editions of Opera are available for devices using the BlackBerry, Symbian, Windows Mobile, Android, and iOS operating systems, as well as Java ME-enabled devices.Here is the tutorial about installing Opera 11.61 on openSUSE, opera does not offer any repository for installation; so we need to go to opera website and look for the correct distribution. 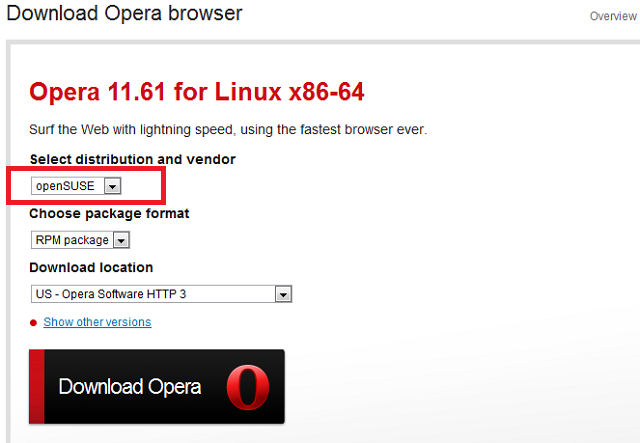 Go to Download page of opera and select your distribution. Start Opera ( Kickoff —> Application —> Internet —> Web Browser —> Opera). 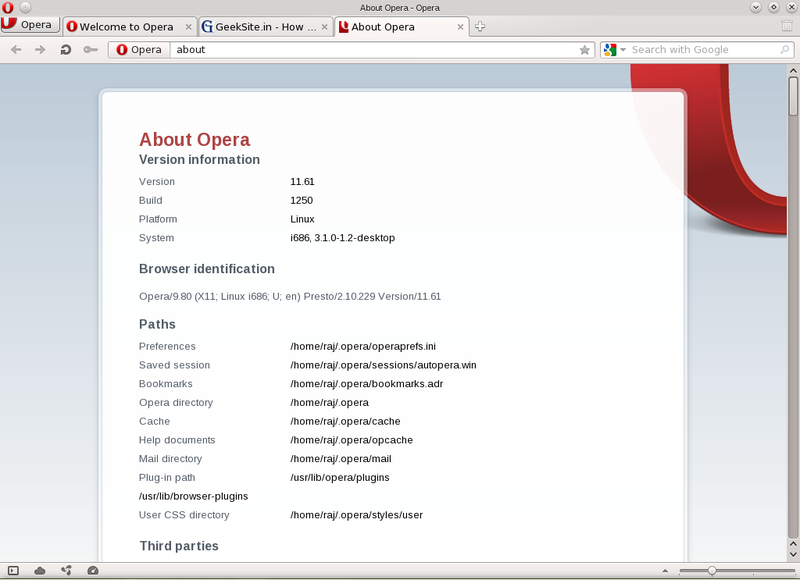 Screen Shot of Opera 11.61 running on openSUSE 12.1.